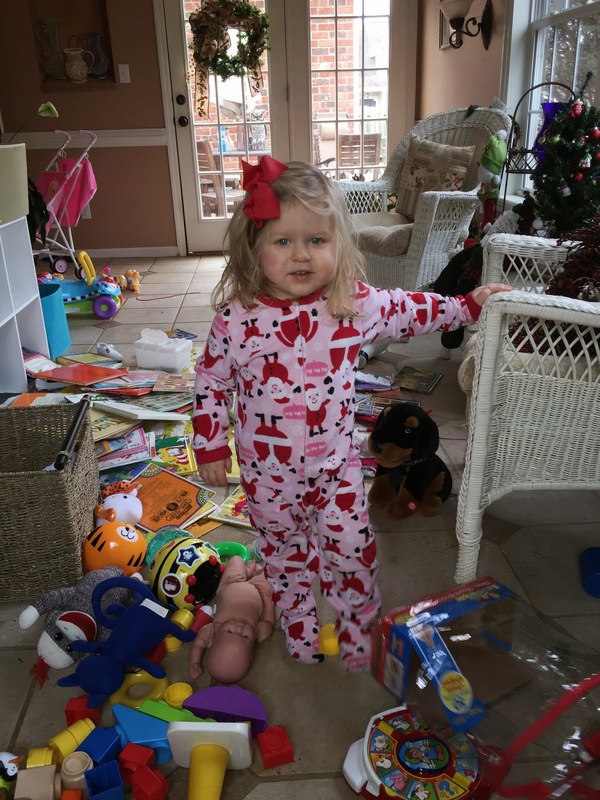 Our Life on a Budget...: Christmas Pajamas and Traditions…. Last year I feel like I felt some pressure surrounding Christmas traditions… like we need to know what we want to do right now! This year I am a little more laid back. Somethings are planned and some are spontaneous and most of all we try to tie it back Christ. 1) Finding baby Jesus every morning. Every morning BD gets excited about finding baby Jesus in the manger. She usually takes Him out and shows Him to everyone. It has been a great opportunity to tell her the Christmas story each day. I wish I could say this one was planned… but it just happened. 2) We do find the elf too. I don't have the no touch rule, at least not this year. The elf seems to be hit or miss, sometimes she likes to find him and sometimes she doesn't. 3) Watching Christmas movies. BD keeps saying "One show" while holding up one finger. I think she likes Christmas movies like her mama. 4) Seeing Santa Claus (which we have not down yet this year). I am not about to share my thoughts on Santa, at least not this year ;). Obviously we are not totally opposed because BD wears Santa pajamas and walks around saying, "Ho, ho, ho!" 5) Christmas books. Those that know me, know my love for Children's literature. You can see just by the shear amount of Children's books we own. 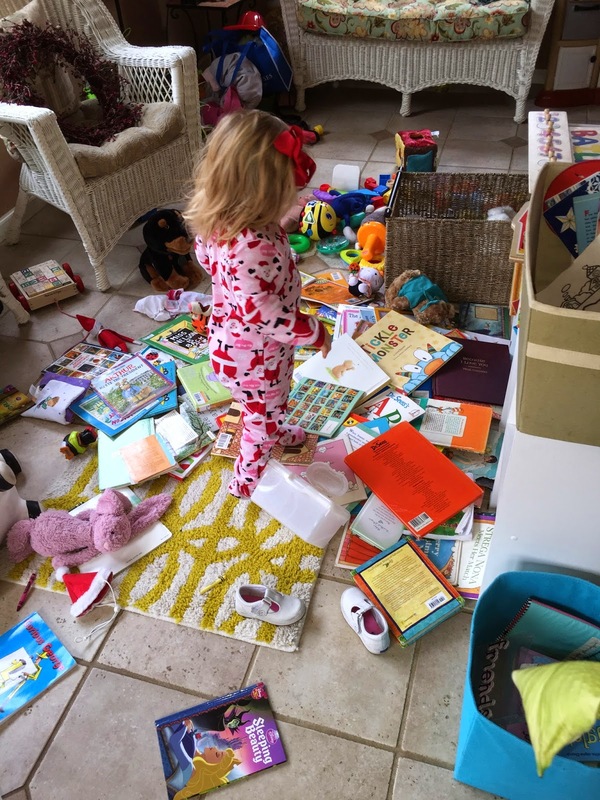 My personal favorites are the story of the Candy cane, stockings, and Christmas tree… stories that connect things that we do at Christmas back to Christ. We have quite a few Christmas books too and each year I am writing a note to BD in one! 6) And of course some Christmas PJs… I can't help it. I just love them so much. You can see some from last year here and see how much BD has changed since last year! Want to see some other great Xmas pjs??? I am linking up here! Oh these PJ's are wonderful. Little Miss looks adorable in them. I love the fact that you look for Jesus every morning. What an anticipation. 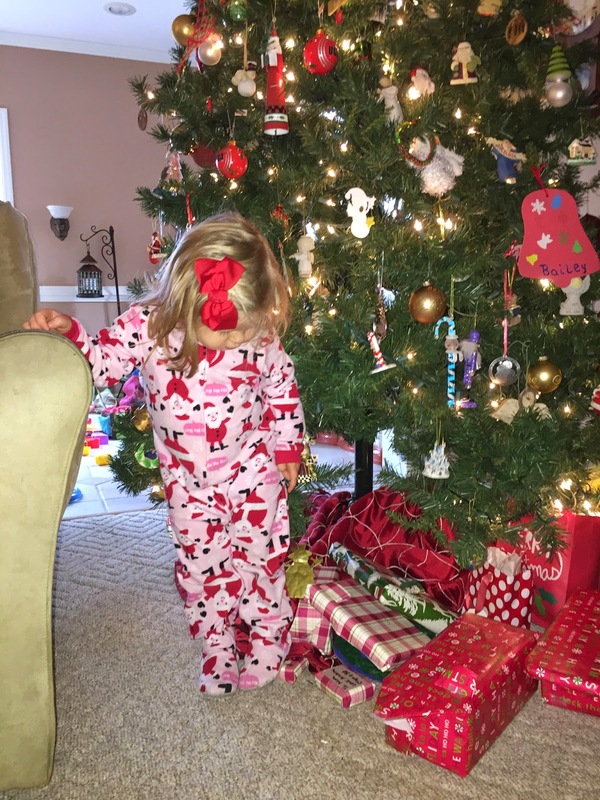 Thanks… loved your little one's PJs as well :) I just LOVE holiday jammies!